14+ Years Of Experience Consultant, Gastroentrology S. L. Raheja Hospital, Mahim His special areas of interest are Advanced Therapeutic Endoscopy, Luminal Gastroenterology and Pancreatobiliary Medicine. Biosketch: Dr. Mehul Choksi is a Consultant Gastroenterologist and Therapeutic Endoscopist. 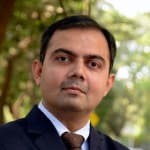 After completing his MBBS from Mumbai University, Dr. Choksi pursued his residency training in General Medicine from St. Johns Medical College, Bangalore which has been ranked as one of the top ten medical institutes in the country. Thereafter, Dr. Choksi completed his residency training in Gastroenterology from the prestigious Christian Medical College, Vellore, Tamil Nadu which has been consistently ranked among the top three medical institutes in the country. He further trained in Digestive Oncology and Advanced Therapeutic Endoscopy from Tata Memorial Hospital, Mumbai which is Indias premier Cancer Institute where he also held a teaching position. Dr. Choksi was awarded the Peter Cotton Travel Fellowship in Advanced Endsocopy at the Medical University of South Carolina, Charleston, USA where he underwent training in latest and advanced therapeutic GI endoscopy procedures. He has also done an Observership at the Center for Interventional Endoscopy, Florida Hospital, Orlando, USA where he learnt endoscopic ultrasound techniques. Dr.Choksi is well versed with diagnostic and therapeutic GI endoscopy procedures encompassing gastroscopy, colonoscopy, ERCP and Endoscopic Ultrasound. He is trained in the palliative stenting of advanced GI malignancies. He has vast experience in treating benign and malignant GI disorders. A very good doctor wont show a wrong way to a patient. Explains detailed information about the same. I have read the reviews, than I visited over their. Experience is good. Hello Doctor! Good morning. I won't be able to drink milk because it makes large amount of gases in my body and also I wouldn't able to eat eggs. Why is so Note: I am a patient of anemia. Hello, You might be suffering from IBS. Tk, plenty of water to hydrate your body to prevent constipation, diluting acid in stomach. Go for meditation to reduce your stress to nourish your body including digestive system to check gastric disorder IBS. Your diet be simple, easily digestible on time to check gastric disorder. Tk, apples, carrots, Papaya, tonned mill. Tk, homoeopathic medicine:@ Natrum carb 30 -6 pills, thrice. @ China 200-6 pills thrice. Avoid, junk food, alcohol & nicotine Tk, care. Hlo Dr. I have digestion problem during 4 to 5 months .I feel hungry but when I eat heavy food. I feel heaviness to upper side of stomach. I feel uneasy nd. Acidity. Gas. What to do. I am 46 years old and have gastric problems. After having meals my stomach and abdomen feel heavy and after the gas goes out I feel lighter. Kindly advice. Hi Rafiq.. this is a case of flatulence.. and you may just need some lifestyle modification... like changes in diet and some exercise... You can consult me through lybrate... for homoeopathic treatment.. and proper guidance..
What is the reason and cause for ulcer? Doea stress has any effect? How to cure ulcer and acidity? Stress is one of the important factors which can lead to recurrent acidity and ulcers in the long run. There are many other causes for ulcers, which can be treated with medicine. However, underlying stress should be identified by a qualified psychiatrist, who can help you identify, explore and evade unwanted stress. My question is to Dt. Lokendar Tomar. I'm also suffering from gas problem and it happens 1or 2 times in a week. And when it happens causes headache. Mainly top and sides of the head. Help me. Hello, tab bico-25 2 tab 4 times a day drink butter milk, fruit juice n vegetable soup avoid spicy, oily, n bakery products report after 10 day stay healthy. I am 20 and now have been masturbating since 14 or 15 and I have quit the masturbation for 5 days and first day I have acid reflux and then acid reflux is gone and then I was not able to eat for 1 day I feel heart is beating fast and I feel like body temperature is hot but in thermometer it shows normal temperature and I feel like very lazy person and used to anxious and very depressed sometime and does it will go away as time passes and what are your thoughts on my condition. Dear Lybrateuser, - Do not worry the problems are not due to masturbation, stop thinking about it & try to keep your mind busy in studies, do exercise, listen to music, follow a hobby, if urge is there go for a walk - avoid fried, spicy & junk foods - have a well balanced diet with more of fruits & vegetables including green leafy ones, whole grains, protein foods like eggs, milk & milk products, non veg, lentils, beans, pulses, sprouts, peas - take tablet Pan 40, 1 tablet half an hour before breakfast daily morning - do regular exercise like walking, jogging, swimming, cycling, play a game, do moderate weight lifting 2-3 times a week, also do yoga & deep breathing daily morning for 5-10 min to keep fit. I have gas problem ulcer unable to digest food help me with some tips home remedies. Hi lybrate-user. Ulcers cannot be treated by home remedies. To improve digestions you may do the following. Avoid over eating Take 20-30 mins walk after each meal. Eat dinner early in evening. Avoid highly spiced and oily food. Do not take junk foods. Etc. My dear sir/mam my problem digestion related stomach acidity heartburn indigestion stomach phoolnaa & uljhan. Ghabrahat in so my problem diagnosed gad/bl proxy but I am no satisfied in diagnosis. My treatment. Phagolace cap. serta100 1 tab morning to 1 tab evening vanish 75 1 .1.morning evening and afternoon lamepil 50 1 tab and petril 2 mg in the night but I am not sure mental illness &stomach disease please sir satisfied my problem stomach and mental. I am 49 years old working women. My Bowl movement is poor since childhood. I try to eat healthy food but due to uncontrollable life situations, I can't sustain it. As I have to sit for whole day, I feel heavy and discomfort and especially after lunch many rumbling sounds starts in my lower abdomen area. Can't empty stomach .pl help what to do. U need to make certain changes in your eating pattern which are-- 1. Don't take tea empty stomach. Eat something like a banana (if you are not diabetic). No only biscuits or rusk will not do. 2. Take your breakfast every day. Don't skip it. 3. Have light meals every 2 hours (in addition to your breakfast, lunch n dinner) e.g. Nariyal paani, chaach, a handful of dry fruits, a handful of peanuts, seasonal fruit, a cup of curd/milk etc 4. Finish your dinner at least 2 hours before going to sleep. 5. Maintain active life style 6. Avoid fast foods, spicy n fried foods 7.Take a lot of green vegetables n fruit. It contains a lot of fiber which will help reduce tendency for constipation 8. Drink lot of water Exercise in the form of yoga, cycling, Swimming, gymming, walking. I don't know out of above you r already following Do take a walk of 2 mins after every 30 mins of sitting. Homeopathic treatment has very encouraging results and gives relief in long term please ask for consultation with detailed information so that I can help you better. I am 21 years old boy. My digestive system is not good from years. Whatever I eat I have to run to the toilet and I cannot control my toilet. What should I do?